Truth is, however, I didn’t use the rig all that much for fear the FCC would arrest me, but I did have QSL cards printed up. 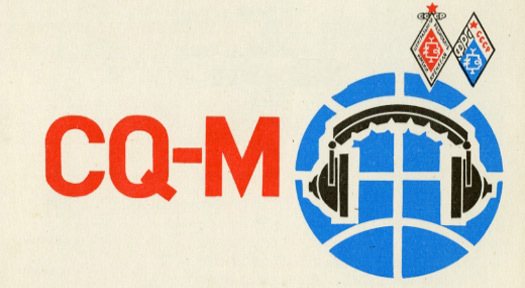 Short for Quebec Sign Language, these cards employed the Q radio broadcasting language to confirm receiving a transmission. Like calling cards, they were the most cherished artifacts a ham operator could acquire, with the added incentive that awards could be won for acquiring a large collection. (The other cherished item was an “eyeball” card, to signify you actually met someone face to face.) Although my transmission range was limited, I would send QSLs to whomever I could, and received hundreds in return — albeit, since I am in a confessional mood, I cheated. And how, precisely, did a junior ham operator cheat back in those days? Advertisements in the backs of most ham magazines offered something called “cards on approval” which allowed you to order twenty or thirty cards and either buy or send them back. It was the sissy’s way of accumulating a bunch immediately — the ham radio equivalent of planting sheets of sod instead of grass seed. Yet in both cases the ploy works. Sod makes for a full lawn, and approval cards filled my garden of shortwave delights. And delights they were. Seeing those call signs from all over the world — replete with foreign-sounding operators’ names — was an exotic pleasure before the days of cheap airline tickets. The idea of the QSL missive started in 1916 when a shortwave operator in Buffalo, New York, sent a card to another one in Philadelphia, Pennsylvania. From that moment on, cards were acknowledged as the common confirmation practice, and collecting them was akin to pasting travel labels on your luggage (a practice favored in the nineteenth and early twentieth centuries, but one which has sinced lapsed). And while there were some fairly generic stock QSL formats produced and marketed through ham enthusiast magazines (like CQ), many different styles prevailed elsewhere across the globe. In general, they weren’t so well designed in a formal sense, although some revealed more pictorial and typographic panache than others. 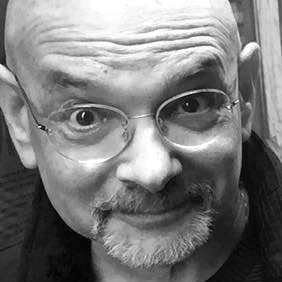 But as a genre — and a critical mass — unto themselves, they could often be seen posted on the wall in a radio shack or slapped up on the corner of a teenager’s bedroom, and here, they were as cool as can be. Of course, the most prized were from the farthest and most forbidden locales — UB5MED from the USSR, for example, or UB5AU from Kiev, Ukraine. They were not political, but often seemd to retain a sort of old, revolutionary print-shop patina that added to their flair. Others, of course, were designed by the operators themselves. DL6ZBF’s card sported a line drawing of an old mill in the town of Mühlheim am Main near Frankfurt, Germany, while Dl7AV’s, hailing from Berlin, suggests that the operator may have been a graphic designer — though not necessariily a good one. Some of the cards were just basic postcards with call numbers surprinted on top of them. While occasionally resulting in some fortuitous combinations of form and color, this was an unpredictable practice: depending on the card in question, the result could be lethal. It bears saying that ham radio was not the Internet of its day: it was, however, a social medium before the term itself was coined. Shortwave brought people together in many distinct ways, not least as a means to speak to individuals in our political enemy’s nations free from the rhetoric. Since ham required a real investment, it wasn’t available to just anyone — much the way social media sites are today — but then, only the nerds could join. Much of the talk was technical — how to get more juice and range; how to hit the perfect “skip” frequency when the moon was out or the weather was inclement; what latest tube or filter would boost power, and so on. Some operators had regular conversations with the same people, while others were radio wave gadflies and toggled from band to band. To today’s digitally sophisticated audiences, QSLing may sound quaint, even arcane — particularly in the age of Twitter, Skype and Instant Messaging. Nevertheless, ham operators still communicate this way and QSL cards are still being produced, albeit with inkjet printers, at online shops like QSLfactory and QSL Print, among them. Whoever said print is dead? Wonderful discussion on QSL cards. I had never before heard the Quebec Sign Language reference. I only recently, as of 2 days ago, sent off a QSL card to a man in Kentucky. I spoke to him on 20 meters for about 45 minutes. I learned all about his service to this country in Korea and Vietnam. Later I checked out his web site and saw a copy his hometown newspaper showing vice president Humphrey discussing a phone call he had with this veteran. This man is only one of a long list of interesting people I meet regularly on the airwaves. By the way, I now make my own QSL cards using my digital camera, Microsoft Paint, a simple QSL printing program, and the local pharmacy photo-printing kiosk. Ham radio keeps in step with the times. If you ever decide to get that license, let me know. I'll point you in the right direction; and Morse Code is no longer required. Thanks for the nice posting. As a teenage ham radio operator in Texas during the early 1960s, I would arise before dawn, fire up my converted WWII transmitter and pound out my CQs. The atmospheric skip was better that time of day, and I could extend the reach of my signal. The QSL cards from contacts were treasures, a reminder that there was a world beyond the Lone Star state - a calming reassurance. The experience provoked a curiosity about the world that, ultimately, led to the choice of my career. "First of all, there is no country prefix HN. The closest is HM and that's Korea and surely he wasn't going to pass himself off as Korean. I seriously doubt he used that call. In fact if he were bootlegging, he'd draw less attention with a US call than a foreign call. Someone would be more likely to turn him in w/ a foreign call. Secondly, QSL is the right term but it doesn't stand for Quebec Sign Language. It is part of the Q codes that were used in Morse code by radio. If you sent the string QRP? that meant you were asking the other party to reduce power. The other party would answer the question as QRP w/o the question mark. QSL means a confirmation of this transmission. It is interesting because some of the police departments in the U.S. use the Q codes instead of the 10- codes. So if you wanted to get someone's location you'd ask for a 10-20 or what's your 20. In a Q code it would be what's your QTH. Miami Dade uses this (this I learned from years of watching COPS)." I second the praise above of Paul Sahre's book "Hello World" ... One of the best design books ever, no designer's library should be without it, whether or not you care one iota about ham radio. Great story, too, as to how Paul came into his collection of QSL cards. Ian, thanks for your Dad's comments. Please tell him, the derivation of the HN prefix was convoluted at best. I was 13 years old for one. My rationale at the time was HN = HAM NUMBER + 2 + MIL = Morse Is Lousy. I thought it was pretty clever at the time. I also had a Citizens Band rig and a real license (KBJ2055), and lied about my age to get it. My antenna, in case your Dad is interested, was made by an old time HAM in the neighborhood (lower NYC). He made some kind of tuning box from which stretched a long coax cable, on one end and a long wire with a fishing weight on the other. The idea was to stretch the cable through the apartment (the building was made of brick and steel) and dangle the wire out the bathroom window. In this way, theoretically, the entire building would radiate as an antenna. Did it work? Well, I made a lot of TVI (what we used to called Tennessee Valley Interference) on the neighbors' Televisions. As for QSL, I am well away of the 10-code and the Q codes. As a kid I thought I'd be cool and use them in conversation. I was told I was obnoxious. Twenty years ago, I designed and identity for a ham--make that amateur radio--club. Their message was "making the world smaller through amateur radio" so I designed a globe-like thing with a branching line sticking out of the top and some lines at the base of the stem. They all recognized them as the electronics diagram symbol for antenna and ground and loved it. Everyone else just interpreted it as some sort of technogeek stuff. I wonder if I still have the satin jacket with the logo on the back and my name on the front somewhere. I resisted their suggestions that I learn Morse code so they could get me a license number for under my name like they had. we have to take interest in this topic. Kooky? Well. My daughter who works in computer based industries sent me, the active ham, this link. Anyone who thinks amateur (ham) radio is kooky better look in the mirror to check on their hobby(ies). Hams continue to be instrumental in the advancement of radio science. Surely its no kookier than late hours in front of a video screen pecking away on a keyboard for whatever purpose. Going into warp drive about a bunch of oversize, overpaid louts chasing a scrap of pigskin up and down a field - or any other sport ending in "ball". Little fellers driving enormously powerful cars round in a circle (although we do enjoy road racing!). As to the bootlegging its ongoing and still illegal, from the "something for nothing" crowd who seem to feel there's no future in earning their stripes to use public spectrum. The usual response from a licensed ham is to ignore them, they know not what they do. And finally for Mary who has to take an interest in this topic please visit www.arrl.org, the national association of Amateur Radio Operators. As a licensed Amateur Radio operator of 48 years, I am amused by this article. If the author really did receive as many cards as claimed, it is inconceivable he could haved gotten away with the bootleg callsign as he stated. Any legitimate ham in the world would have recognized it as phoney in a second. His definition of QSL as Quebec Sign Language is just as phoney. I'll bet you couldn't find another legitimate licensed operator (out of over 750,000 in the U.S. alone) that ever heard that definition. He referred to TVI as Tennessee Valley Interference. TVI I an old and recognized expression that means Tennessee Valley Indians (code for interference so if someone heard the transmission they wouldn't know the ham was referring to an interference issue. Finally, Lafayette Radio never made nor sold a ham radio transceiver, other than VHF/UHF and not HF (shortwave). It is unlikely he made any worldwide contacts on vhf/uhf (same frequency used for tv transmission). When was the last time you saw a tv station coming in on your ser with an over air antenna directly from around the world? Bottom line is Steven either has a wild imagination, doesn't remember his facts or else he just likes to speak as an expert to see how many people believe him. Forgive my typo's. I'm using a Blackberry. Need I say more (keyboard issue). I also noticed that the author provide a slideshow of QSL cards presumeably he received. He never really said they were sent to him (clever). My guess is they came from an estate sale. The reason I question this is the cards confirm contacts with what appears to be callsign K2QIO which is a legal ham radio call. This is in contrast to the bootleg callsign HN2MIL that Steven says he used. Coincidentally, one of the cards sent to K2QIO was from UB5AU, one of the calls Steven mentions while discussing all of the cards received. Steven also uses the term call numbers. If he really was familiar with Amateur Radio he would know that hams religiously use the terms call or callsign and not call numbers (there is only one number and the rest letters in all legal calls issued to U.S. Ham radio operators). Steven sounds like a phoney even as a bootlegger. Steven, if you can't do better than this sham of an essay please don't insult us with more baloney. One other thing. I keep finding absurdities the more I read this article. Steven states the only the prized more by a ham than a QSL card is an eyeball card. Most hams have probably never even heard of the term eyeball card. I seem to remember that term being referred to by CB operators. If Steven doesn't kno the difference between terms used by these vastly different services he has no business writing about them. This article is the stuff urban legends, untruths and misinformation are made from.